Paul has over twenty years' experience with privately held companies. He founded a successful boutique investment banking company operating as Graham Capital Partners, LLC, headquartered in Savannah Georgia with offices in Atlanta and Toronto. Graham Capital is one of several companies operating within the Graham Group of Companies; others provide merchant banking as well as corporate development services to privately held corporations with a tri-fold focus on business and strategic planning, mergers and acquisitions, and corporate restructuring. 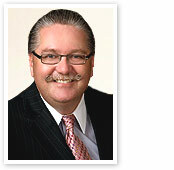 Paul was educated at Lakehead University and York University in the disciplines of accounting and finance. From 1985 to 1997, prior to starting his own group of companies, he held numerous senior management positions for Reimer Express World Corp.
Paul's business activities include multi-industry transactions with an emphasis on manufacturing, transportation, distribution and logistics, aerospace and business services. In addition to experience gained in the day to day operations of a diversified private holding company, financial and operational experience and responsibility have included the funding and start up of a precision high tech CNC manufacturer in Western Canada that was one of Canadian Business's "Profit 100 - fastest growing companies" in 1995, the funding, start up and subsequent sale of a real estate brokerage firm in Toronto, and the startup of a GDS computer reservation system for the European hotel market. Paul serves as an advisor and director for a number of privately held corporations in Canada, the United States, Europe and North Africa and is a member of the Atlanta chapter of Association for Corporate Growth.